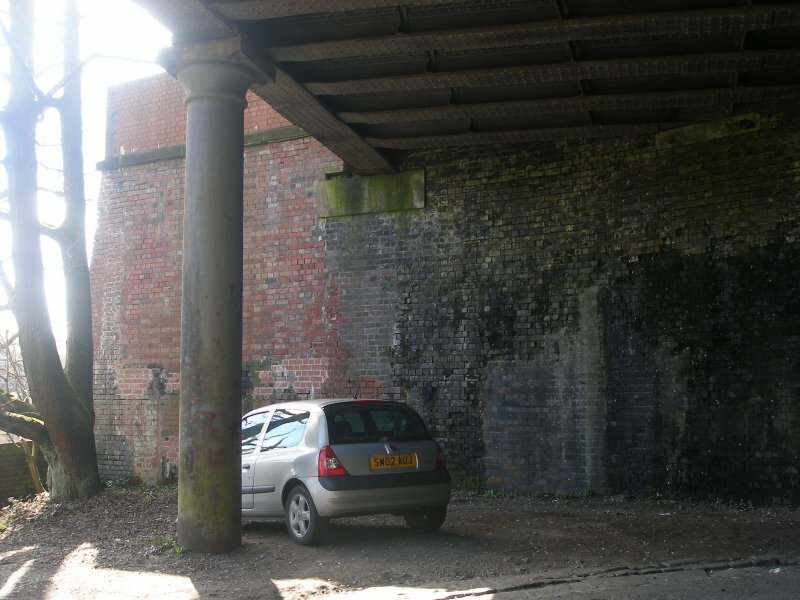 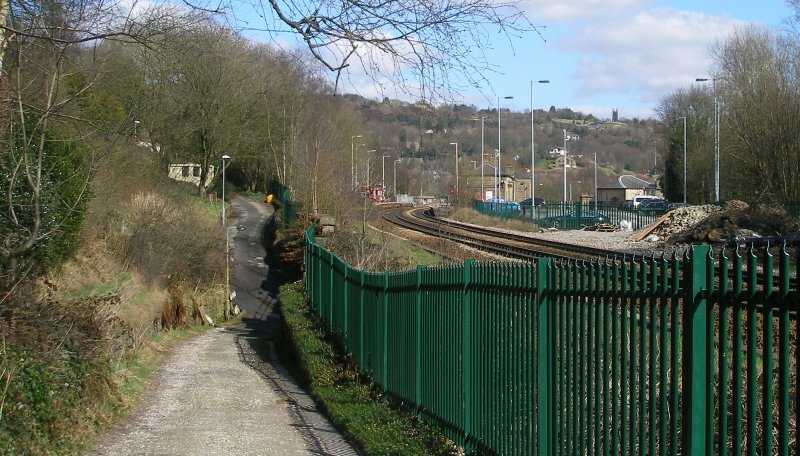 At the western end of the platforms at Todmorden Station was located the goods yard, which lay on the town side of the tracks. 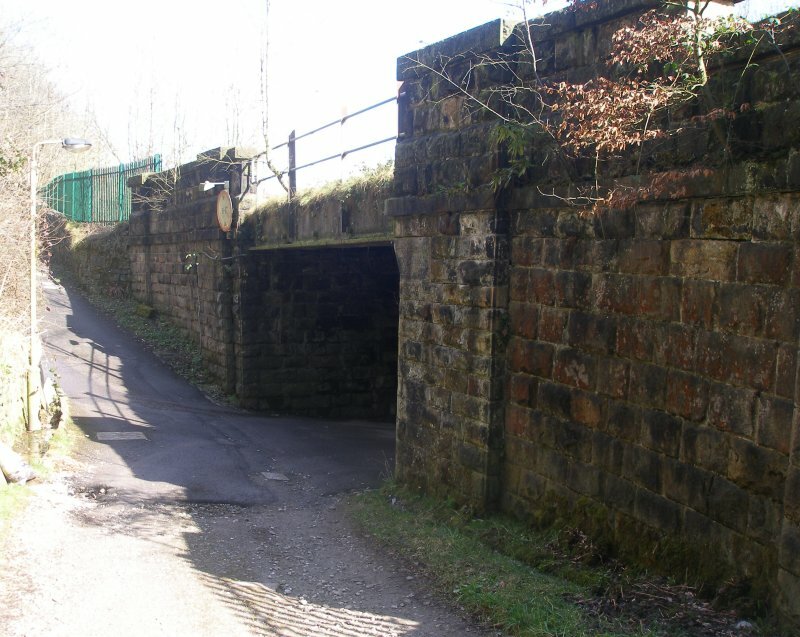 In the beginning the railway was a simple two track affair at this point, but the L&YR opted to extend the site, and consequently the bridge which passed under the railway at this point was also extended. 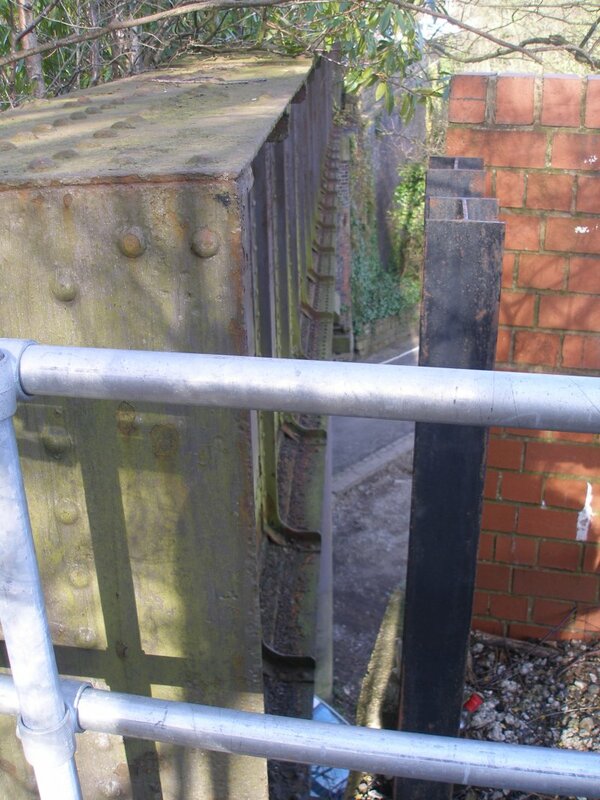 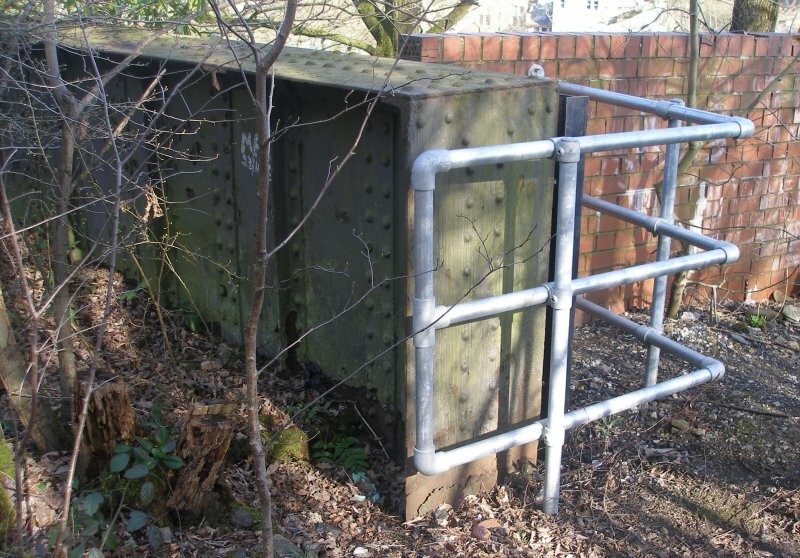 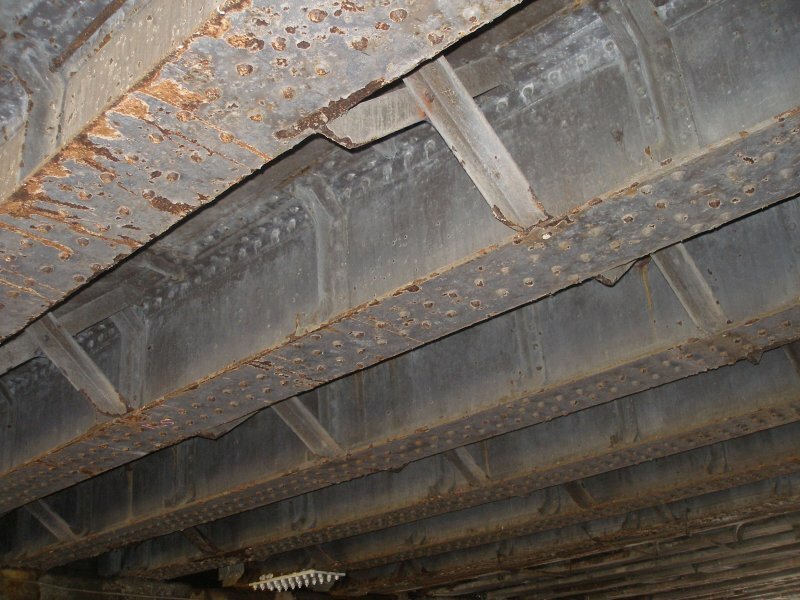 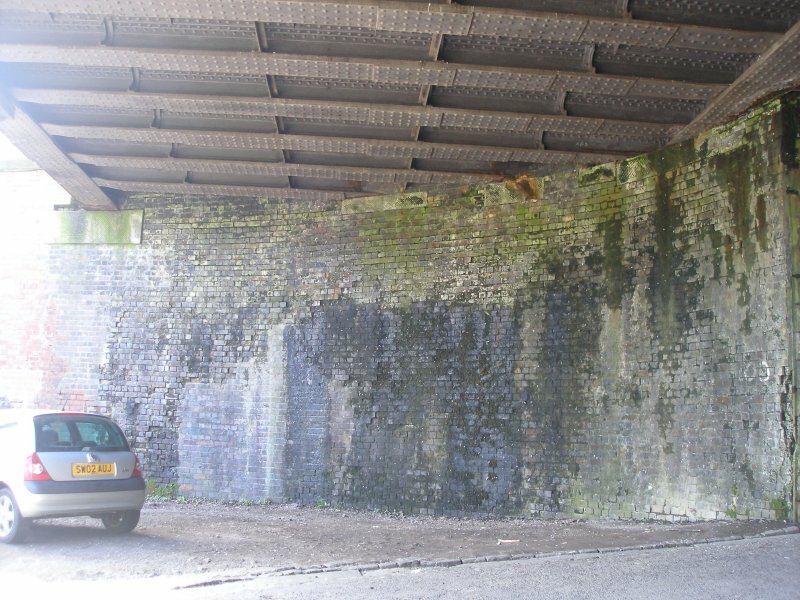 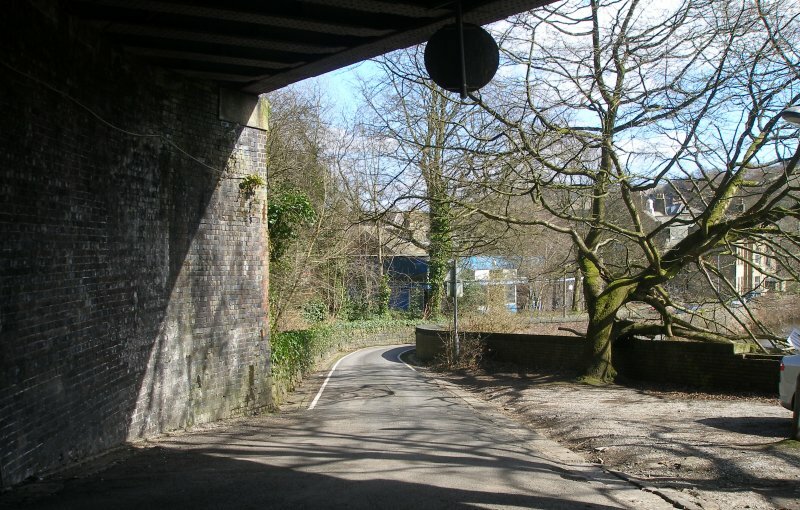 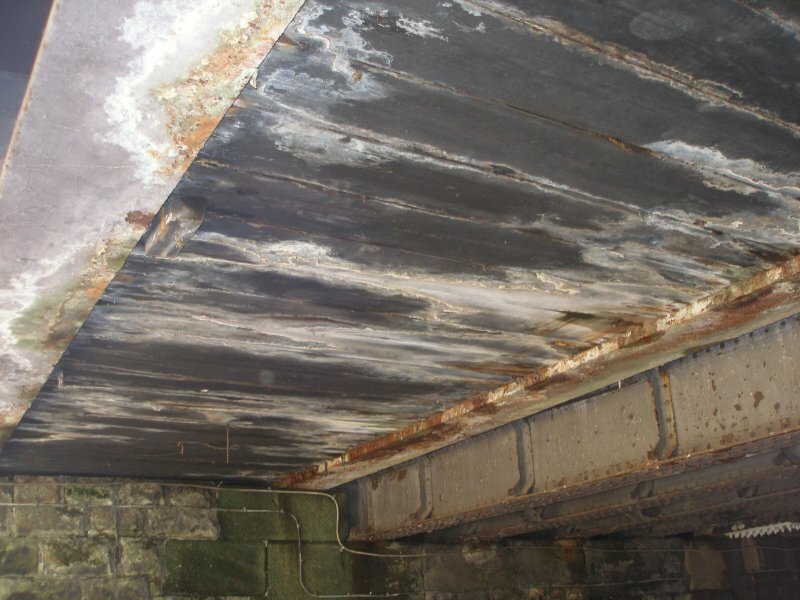 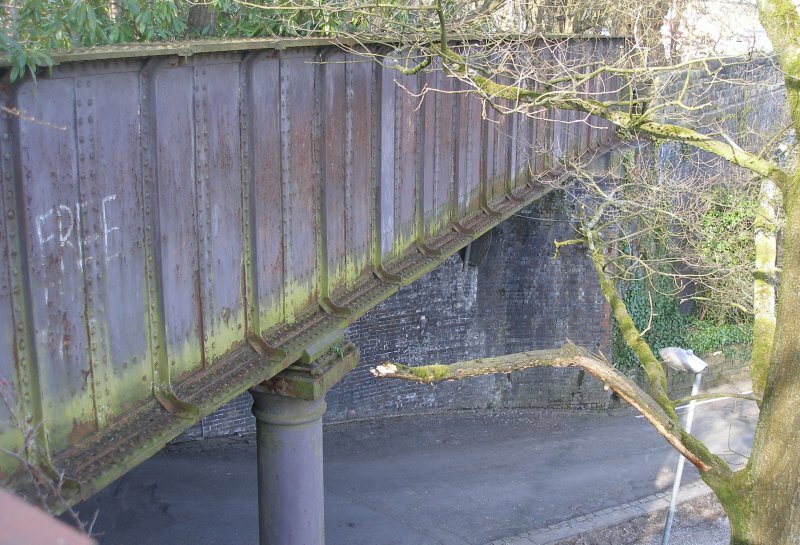 The following images show bridge 103 as surveyed on 25 March 2016. 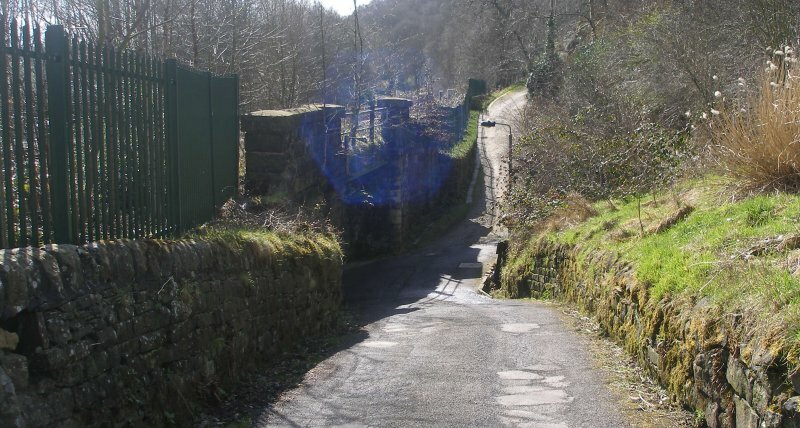 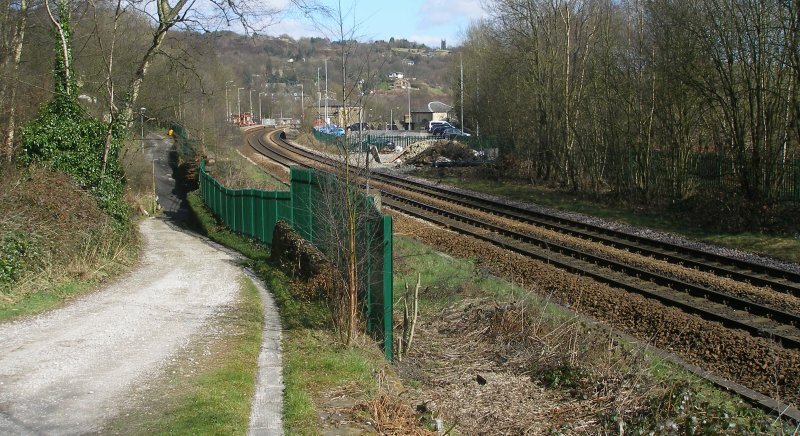 This is also the location of Todmorden West signal box, which was on the western side of the tracks, and controlled access to the goods yard on the Up side, as well as a loop and tracks round the back of the Down platform at Todmorden Station. 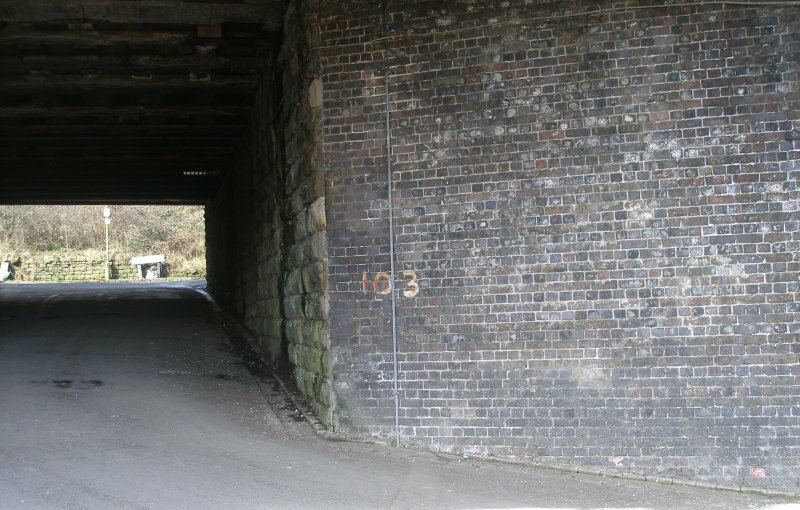 Chris Littleworth has kindly provided his signal box diagram for Todmorden West as it appeared in September 1955. 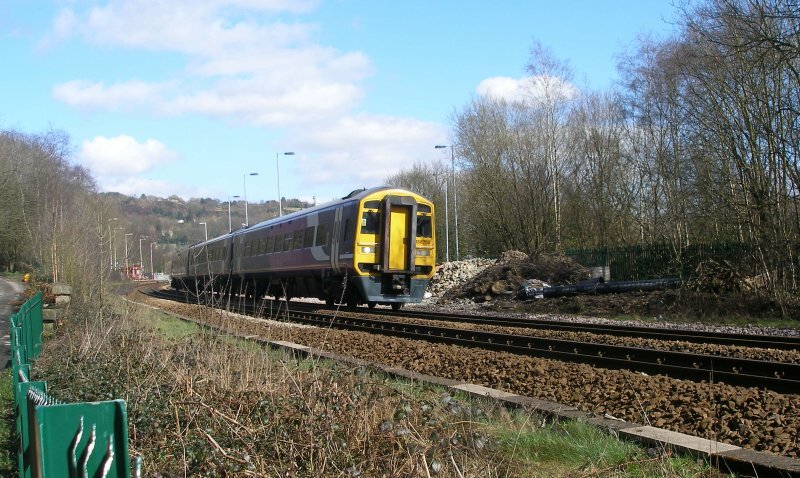 158.755 passes over Bridge 103 on Friday 25 March 2016 with service 2M44 11:51 Leeds to Rochdale departing Todmorden on time at 12:50 a.m.
For details of the Great Wall of Todmorden, click here.